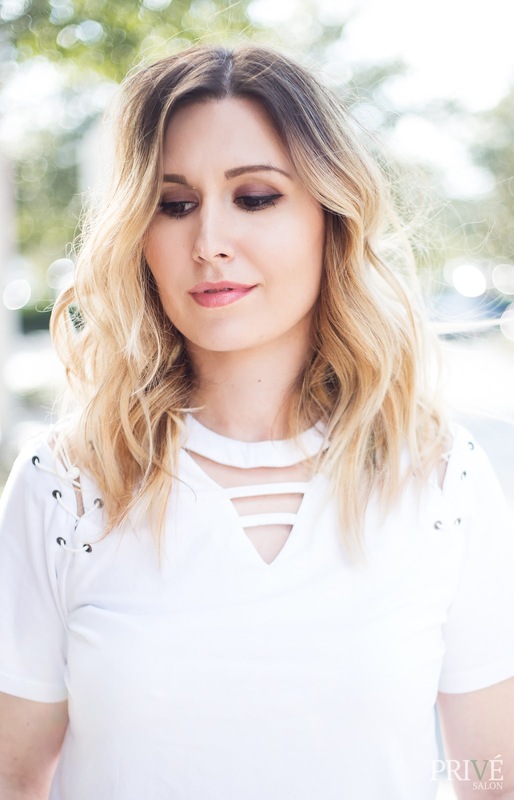 Privé Salon Orlando - Leila D.
You must have seen how beautiful and healthy my hair looks lately and the credit goes to the wonderful people at the luxurious Privé Salon in Orlando,FL. Privé Salon is one of eight locations in Florida that carries Oribe, they also offer Kérastase and Privé Hair. I was invited by their super talented Photographer and Social Media Manager Jessika Dabrowski. Once I arrived there I was greeted right at the door and offered refreshment, I felt comfortable and right at home. Everyone was beyond amazing and the interior was very pretty. Isn't the wall below gorgeous? During my short wait I was admiring how great everyone was and how carefully they worked on their clients hair, paying attention to every little detail. Below is the amazing team that worked on my hair. I linked their Instagram, follow them for some hair inspo. I love how my hair turned out and they will definitely see me there again. Make sure to book your appointment and to follow their social media pages. They always have awesome live videos and fantastic hair photos. Do you like my hair? 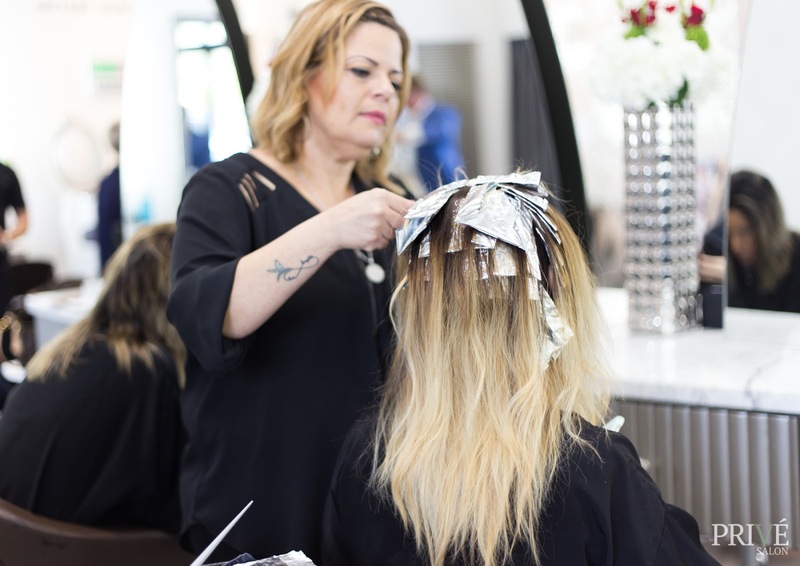 Have you ever been to the Privé Salon in Orlando? I look forward to your comments. Your hair looks beautiful and healthy! And it sounds like you had an awesome salon experience too! Darn, I wish I could go there to get one free, but it's a bit far away... The place looks way nice and by your description it seems like it's truly professionals who work there! Leila, I love your hair so much. i loved it even before, but this new hair is just so amazing. I love when beauty places give you undivided attention, because thats so important and it makes avery clint feel special. I will for sure visit in march when I'm planning to visit Orlando. i love the photos you have taken and I enjoyed reading your blog as it make me feel like I was there. Glad that she liked it :) Thank you so much. Happy New Year ! Absolutely love your hair! 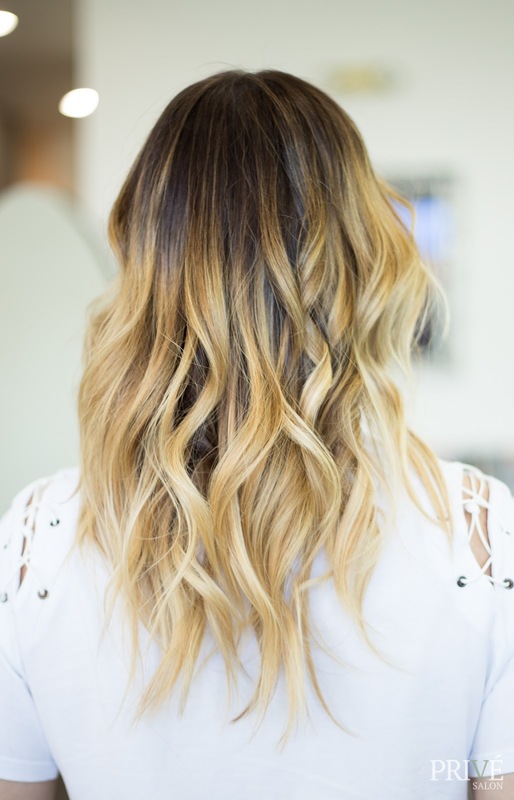 Gorgeous highlights and love the salon! Your hair are just stunning!!! Ahhh wild, can't believe my old friend Jessie Dee shot these, I mean i can believe it cuz the shots are amazing. But wow small world. That's so cool. Truly a small world :) Yes, she is an amazing photographer! I love the make up!You look so wonderful! I love the result! And the salon looks very posh! "We are one of the Best Award Winning Hair Salon and beauty salons in Winter Springs and Orlando FL. We have bridal hair stylist specialist in our salon."